In many applications, workshop workbenches are a large investment. The need to be ascetically pleasing along with robustness to give long life. These benches, supplied to the air force, which are designed to be very robust whilst been in keeping with the clean design of a new workshop. Specifically designed for airplane arms maintenance. Having to be robust and anti static, whilst keeping in fitting with a refurbished workshop environment. 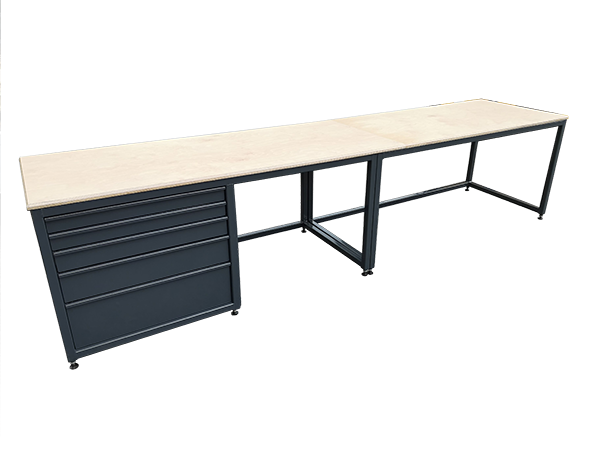 Benches fitted with both hardwood or steel workbench worktop. 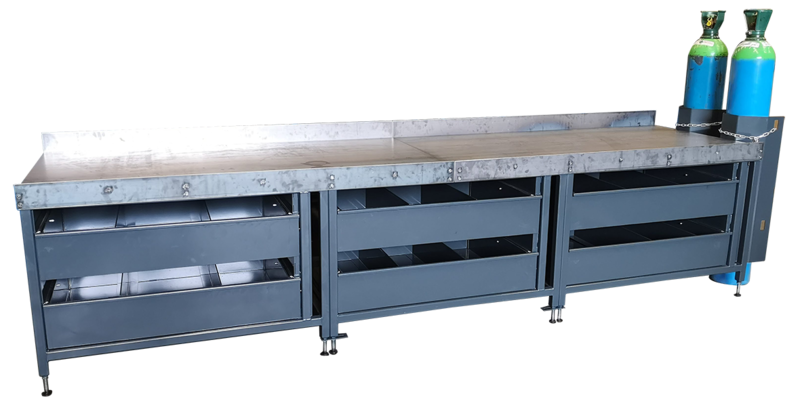 With sets of 5 heavy duty drawers fitted with load ratings of over 200 KG per drawer. The bench it’s self weighs in at just short of 1000Kg each. 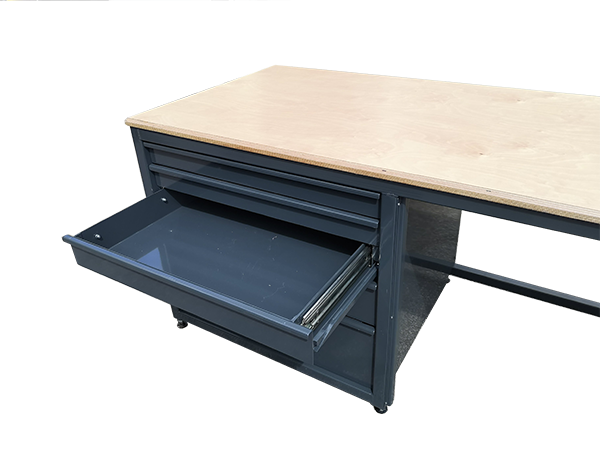 Along with workshop benches – Industrial office desks where supplied. 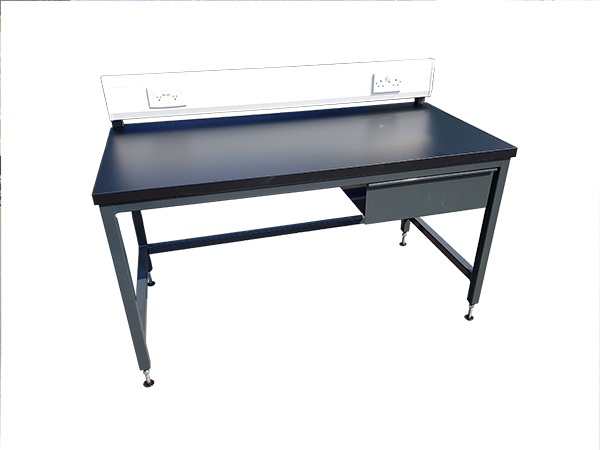 Again to be robust, However with Laminate worktops and special electrical wiring combined within the office desk.